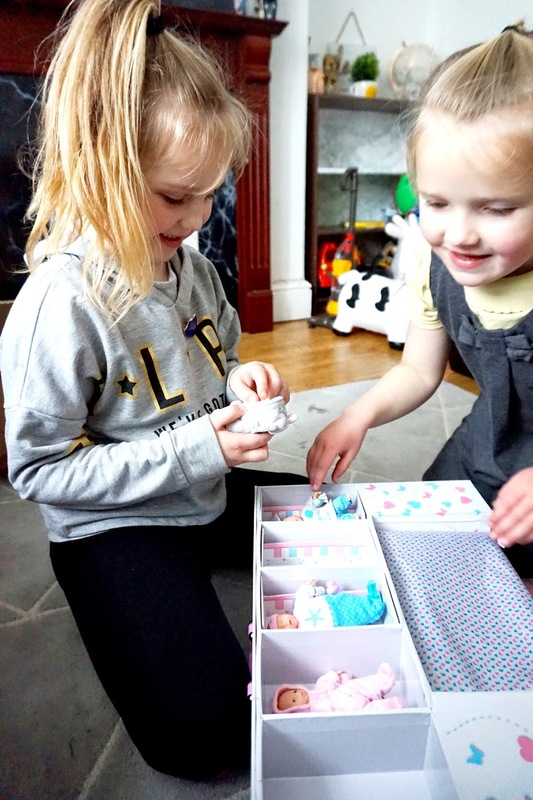 When I was asked to see if the girls would be interested in reviewing the Tinsy Winsy Weeny Tots dolls, I instantly said yes as they're the kind of things that the girls love. 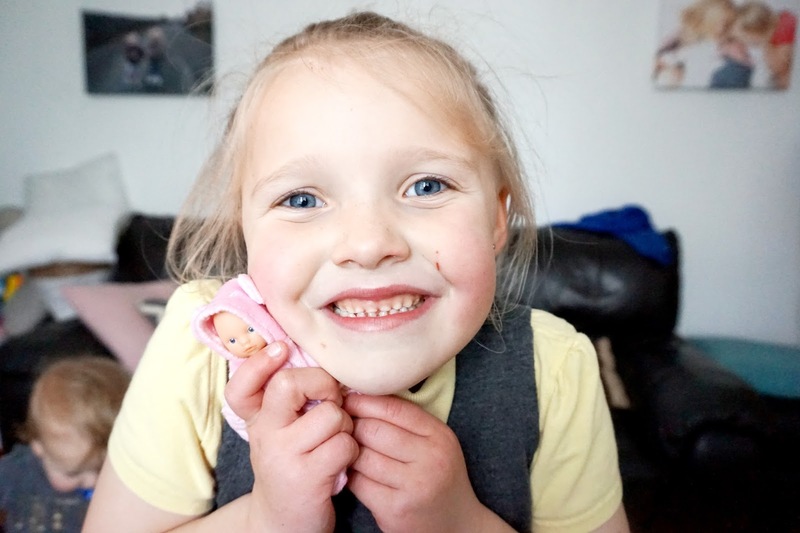 They've always been into the kind of toys that are small and cute - and these dolls were just that. 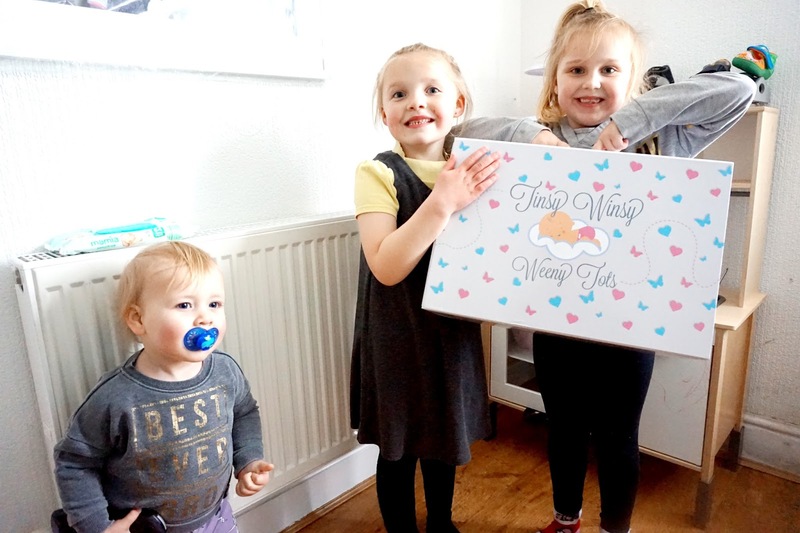 We were given the Tinsy Winsy Weeny Tots Collectors case and 3 super adorable dolls. I have to admit, I was surprised at how adorably small they were. Their features are newborn baby like , nd you can hold one in the palm of your hand they are that small. Mia and Elliw instantly fell in love with them the moment they saw them. Even Freddie has been interested in them. The Collectors case is quite large once opened. There's a handle to hold when it's closed too. 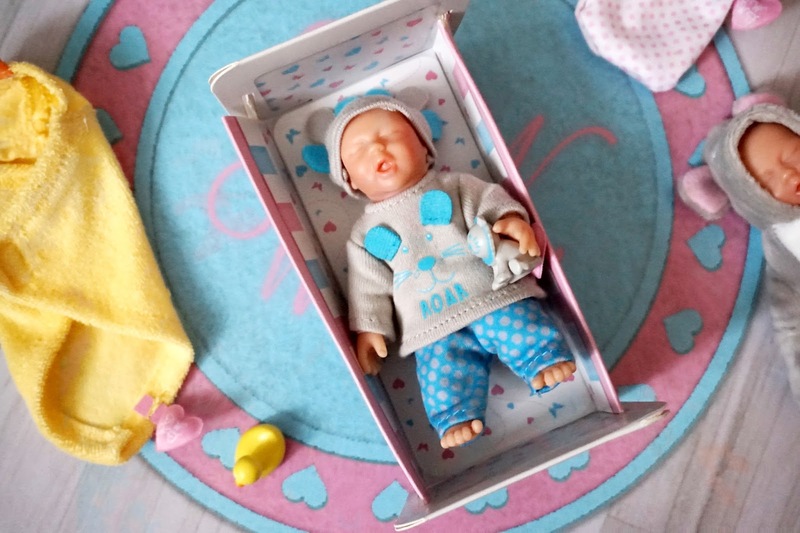 When opened, it turns out into a nursery that your child can play in the 'baby world'. 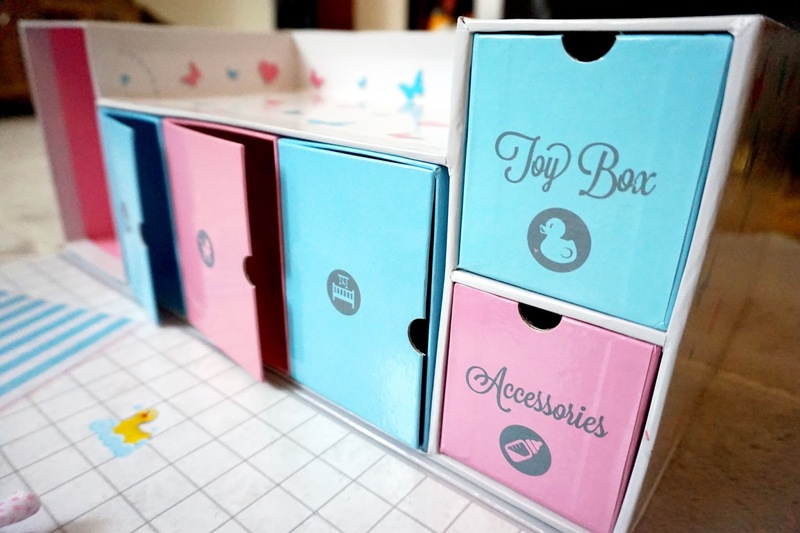 There are cupboards to store such things like a bath, pram, clothes and accessories. At the top there are 5 spaces to put 5 baby dolls in cot beds. 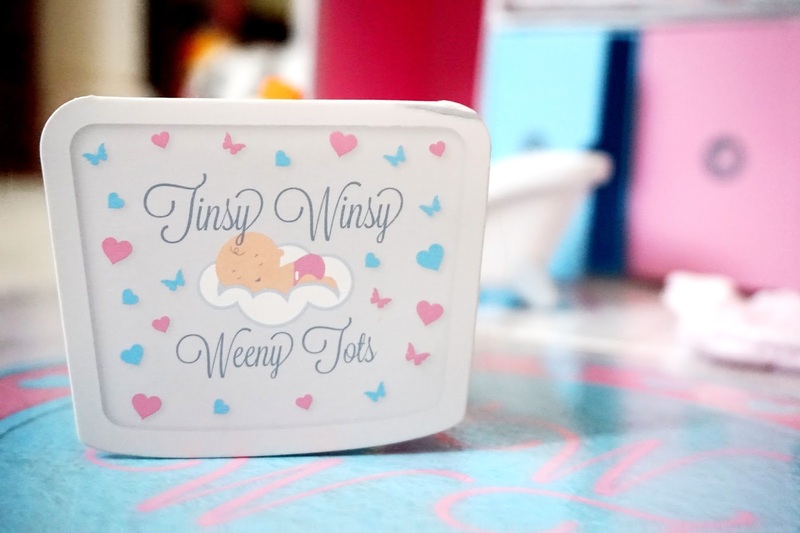 The case is a great way for storing your Tinsy Winsy Weeny Tots baby dolls and their accessories. 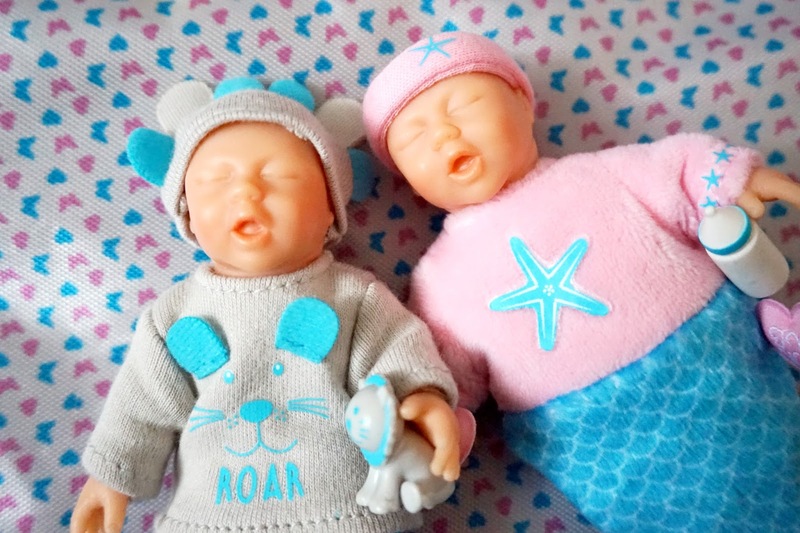 There are many different baby dolls too choose from. 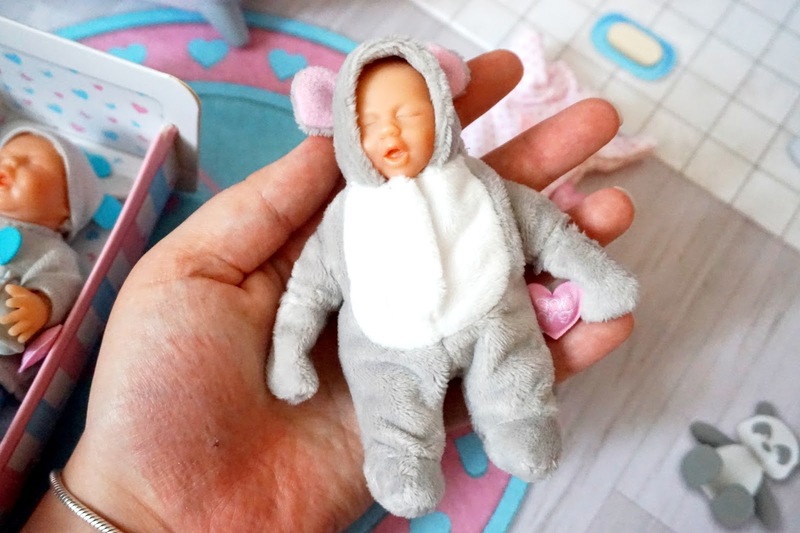 Each doll is unique in features, outfits, names and even their own date of births. 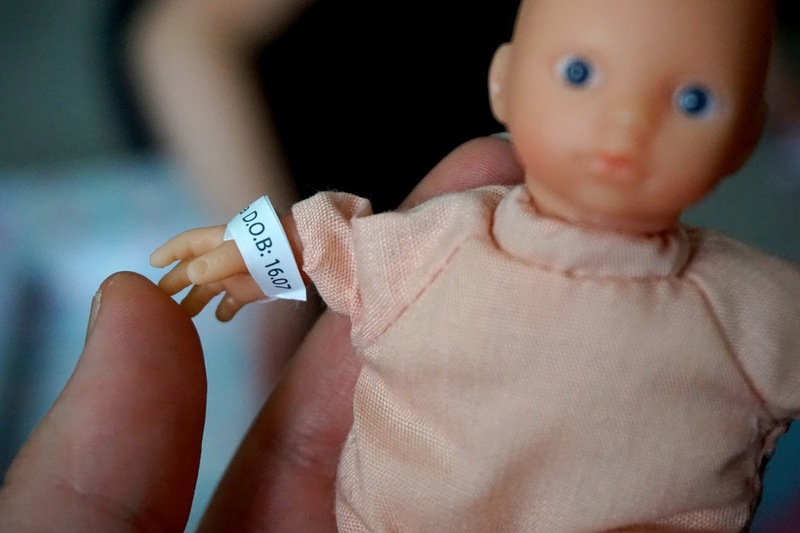 They are very like newborn babies, even with a birth tag on their wrists - which Elliw absolutely loved. You can check out the range over at Smyths Toys. * We were gifted these items in return for an honest review.